Now offering Bulk Rock Salt during the winter months. We sell to both landscape contractors and homeowners by the ton. Call for pricing info. 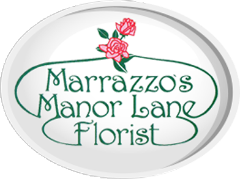 Marrazzo’s Manor Lane Garden Center is the best place to be when planning your landscape projects. We have the necessary supplies and tools for both residential and commercial clients. Most items are stocked yearly, and can also be special ordered for your convenience. Our Garden Center offer premium garden tools, soils, and chemicals. We sell the chemicals needed to prevent, aid, and relieve and insect or disease your lawn or garden may be experiencing. Marrazzo’s Manor Lane offers a wide range of mulch and other bulk material. We stock premium dyed , as well as natural organic mulch at our location. Our other stocked materials include screened topsoil, organic mushroom compost, sand, stone for driveways and base material, and decorative stones. We offer same day delivery to most of Bucks County including Yardley, Morrisville, Newtown, Washington Crossing, Langhorne, and Levittown. We also service areas of New Jersey, including Ewing and Trenton. Our minimum for delivery 1 yard, and we also offer the option of split deliveries of different materials. Another option for customers is the capability to mix materials like topsoil and compost, which is popular for gardening. • And other locations in New Jersey and Bucks County! River Jack 3/4" and 1-3"
**Bag and plant delivery fee are for dumped/placed in driveway only. Additional fee for hand unloading & stacking of up to $40 per additional employee. ***Pallets of stone "dumped" only. If you would like it dumped anywhere off of the paved surface, you must sign a waiver. If the truck gets stuck or damaged including towing expense, customer is responsible for all cost incurred. Convert any inches into feet and input your dimensions in our handy calculator below to find the number of cubic yards. We recommend applying at 2" depth.